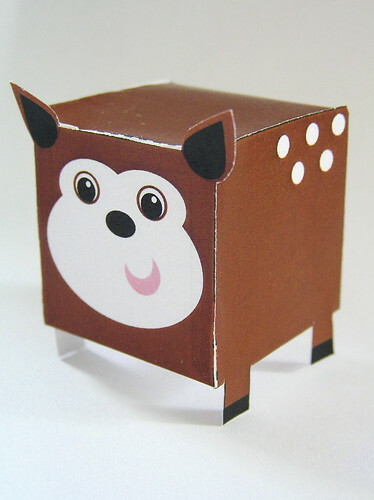 Here is another paper toy I created just for you! 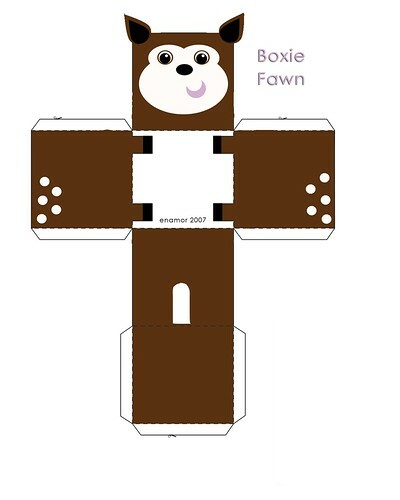 Boxie Fawn is just as easy to assemble as Hoots, except it requires one extra tool- a craft knife. You can download the pattern here. It will print on a standard piece of copy paper. A craft knife to cut them. The bottom will be white. Deadline for entries is September 4th, 2007.